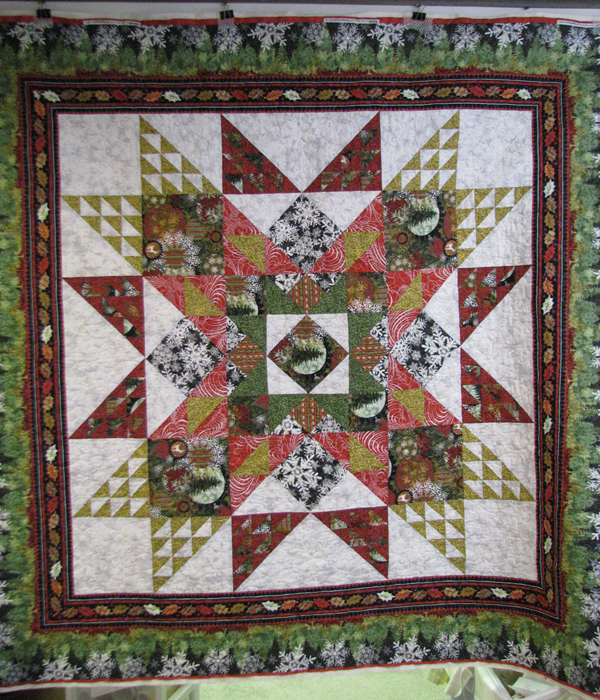 Patricia's Lizzy quilt just arrived - and it is GORGEOUS!! Way more so in person than pics! 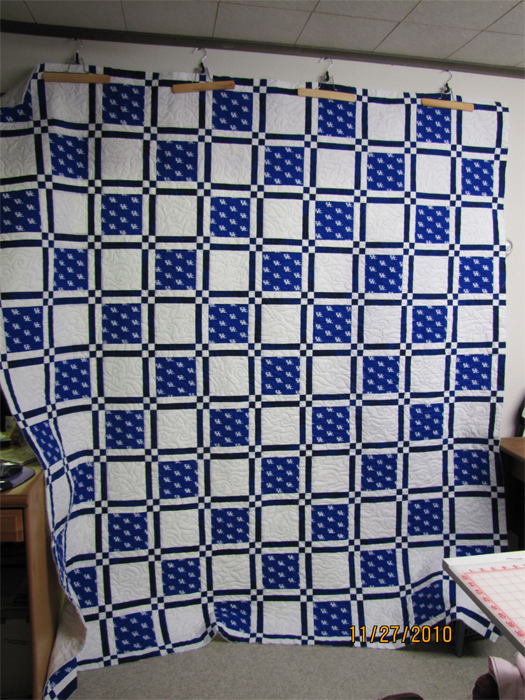 I'm thinking of doing a blue and white (or blue and yellow) checked or stripe binding. Or I may go with yellow. Thank you SO MUCH for working on this! Hey Char! 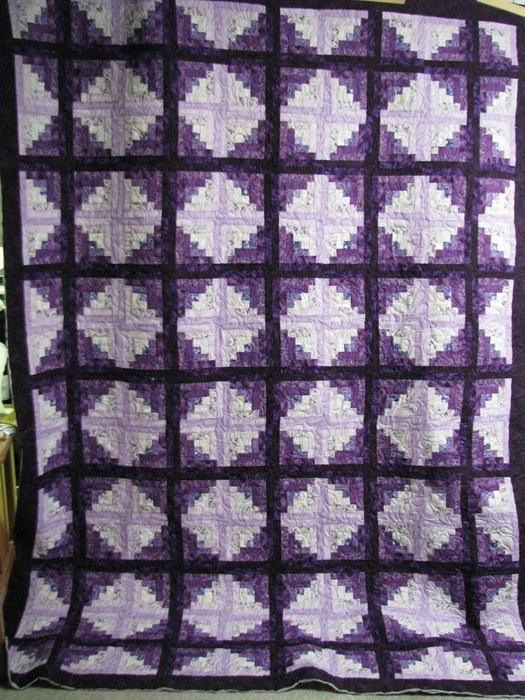 The quilt is so gorgeous!! It came late Thursday afternoon! You always surprise me with your quick turn-around time!! How do you do that? Are you like Santa Claus and can suspend time when you need to?? You are magical! Thank you so very much! And the Steel gray thread was just perfect. My DB Jerry is going to be so pleased. I'll bet it makes him cry!! Hugs to you sweet friend! Charlene has made me a beautiful quilt for my sister's 30th anniversay. We got together and discussed what I wanted on the quilt, the padding and the price. She did a wonderful job!! My sister and her husband were overwhelmed with how beautiful the quilt is, the detials were just stunning. She cried as it just meant so much to her. I am planning on having one made for my Mom for her birthday. Thank You, Charlene for such wonderful work. to show me her machine, and explain how it works. 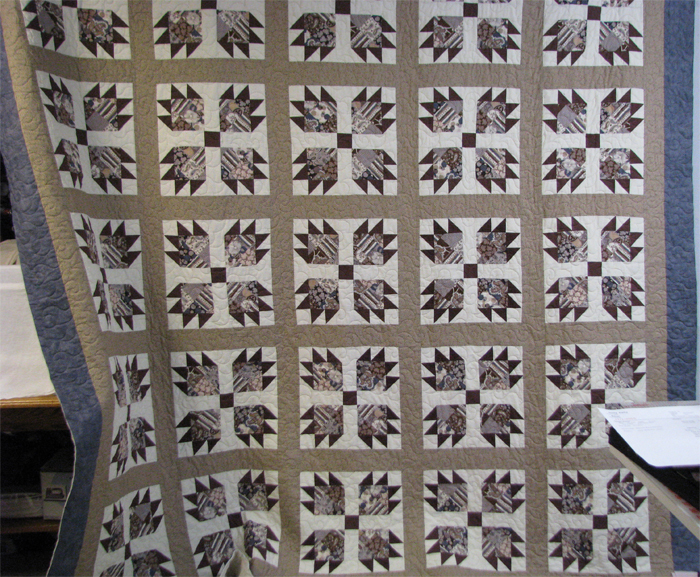 As well as showing me what quilts look like once they are quilted. I sent her a football quilt that was to be a present for my son. She used a football pattern and the finished product was amazing. She even fixed up a couple spots where my squares weren't stitched together quite right. Her work is top-notch, high quality, and very speedy! 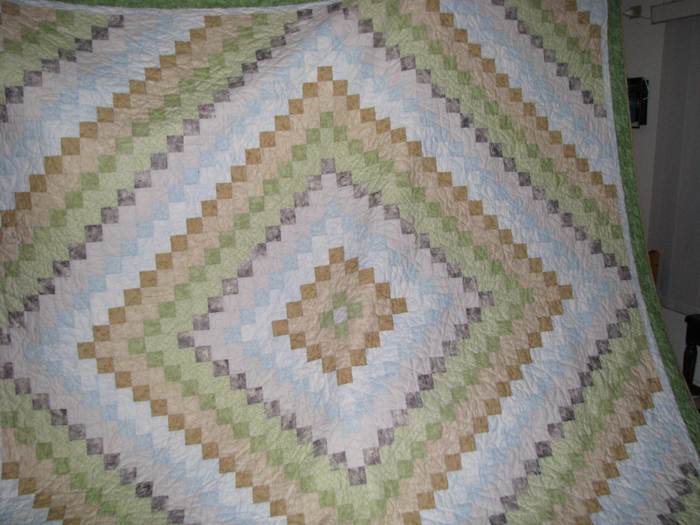 She had my quilt done within a week! I will definitely refer others to her website and service. And use her again myself! 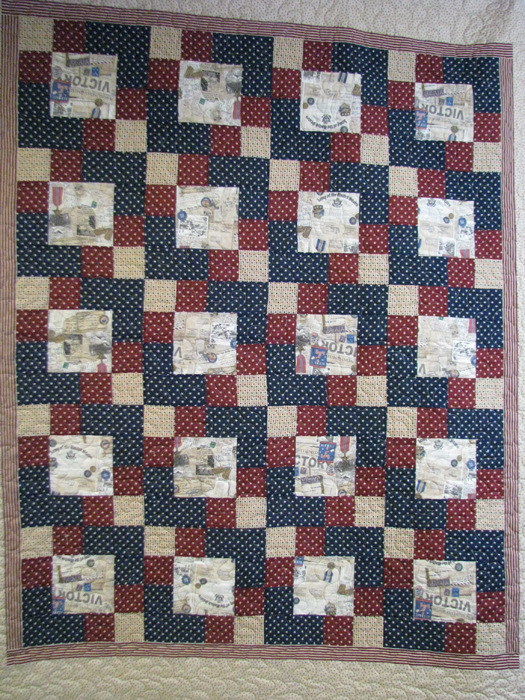 Char, I picked up my quilt from the post office and even my quilting post office friend said it was incredible! Thank you. It looks even better than I imagined it would and my gosh, how did you get it done so fast? I love it. I see what you mean about the thread but it looks great. Good choice! I was lucky enough to run into my old friend Char on Facebook. We knew each other in high school, but hadn’t been in contact since then. We got to trading stories over email and comparing lives. I mentioned that I build websites. She said she had a business quilting. She made us the most beautiful quilt. We will cherish it forever. 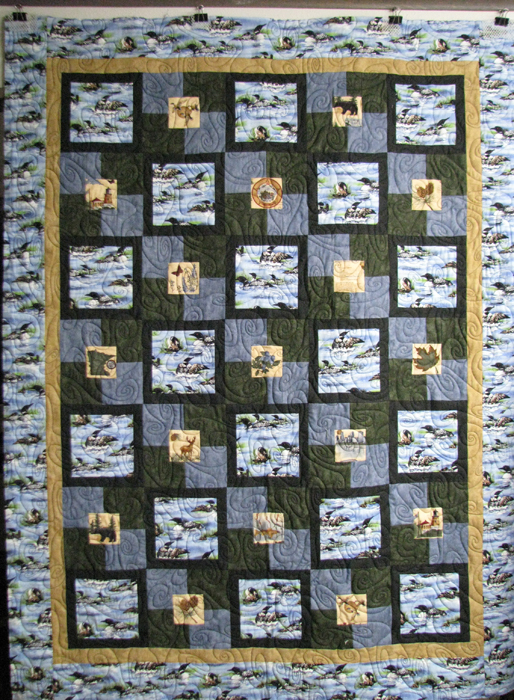 We are moving to Colorado in a few years and having a “Minnesota” quilt will remind us of what we left behind. I can only hope that she will like her website half as mush as we will enjoy her quilt. 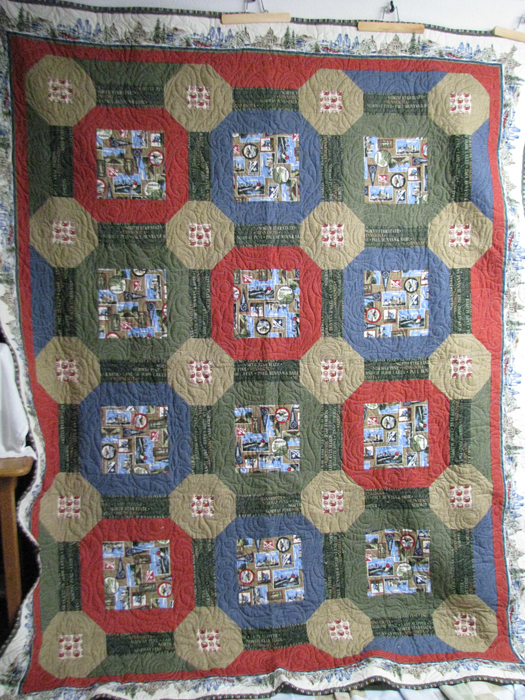 “Char has made several quilts that I have and have given as gifts. The beauty, detail, and whimsy of her pieces make them unique and fun. She does such beautiful work and so quickly! Her prices are more than competitive and she offers extra touches (like the embroidery of the label) which most places don't do. Thank you, Char, for your wonderful work! I hope to do business with you for years to come. Also, I have referred some of my friends to you and will continue to do so. Continued good luck with your business!! 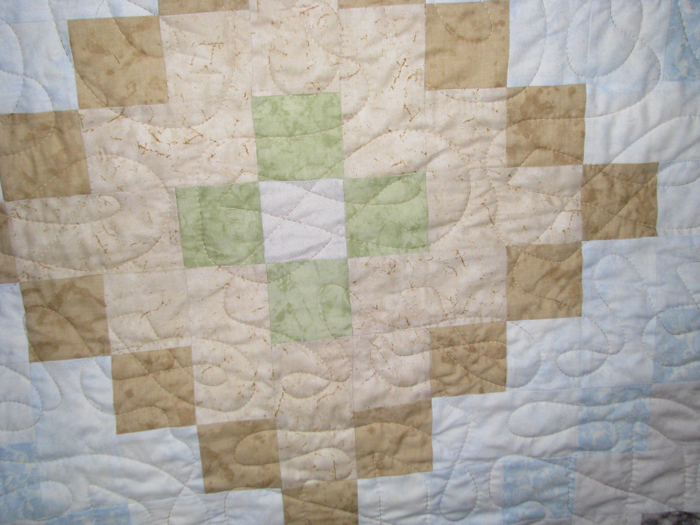 I really appreciate the Cancer Ribbon quilting and the beautiful colors. You do beautiful work and it looks very good on my bed. Thanks again for all the time and effort that was put into it. I am so happy with your work and I can't wait to present it to him. 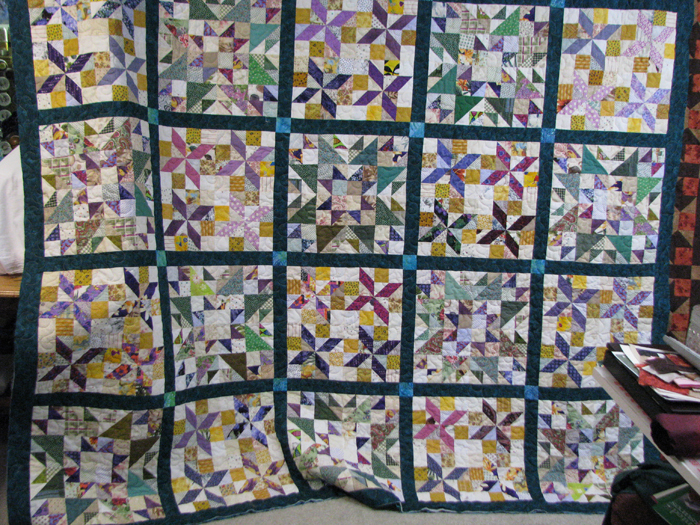 Thank you so much for quilting it so fast for me as well.